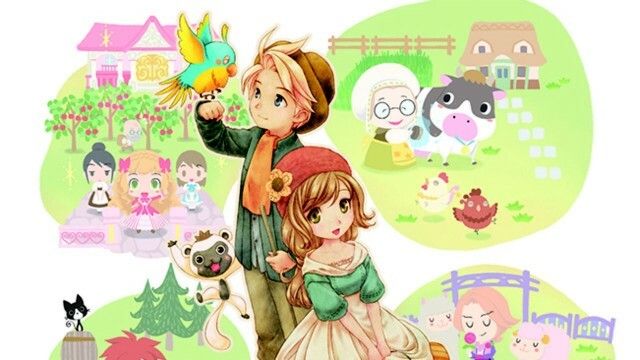 The official localization blog gives us a little more insight on the upcoming Story of Seasons. Story of Seasons is finally releasing at the end of this month, and the official XSEED localization blog has a few new details to share. This information comes from Danielle, the in-house Q&A tester for XSEED Games. She is responsible for the over 35,000 lines of script for the game, and would have to know relevant information for testing and verification. She has also been a fan of the series from its previous incarnations on the Game Boy Advance. Danielle was kind enough to share information about the game, including the ability to customize your character, the 3×3 planting and harvesting system, and the new Conquest system. Conquests are challenges for your player character and other in-game farmers in order to win more land for farming. We also get more information about two of the four rival farmers: Fritz and Elise. Fritz is a former university student turned determined farmer, while Elise is a rich girl with several maids to do most of her work. Story of Seasons is shaping up to be an expansive installment in the long-running Bokujou Monogatari series. The game is set to hit the Nintendo 3DS family of consoles on March 31st in North America.